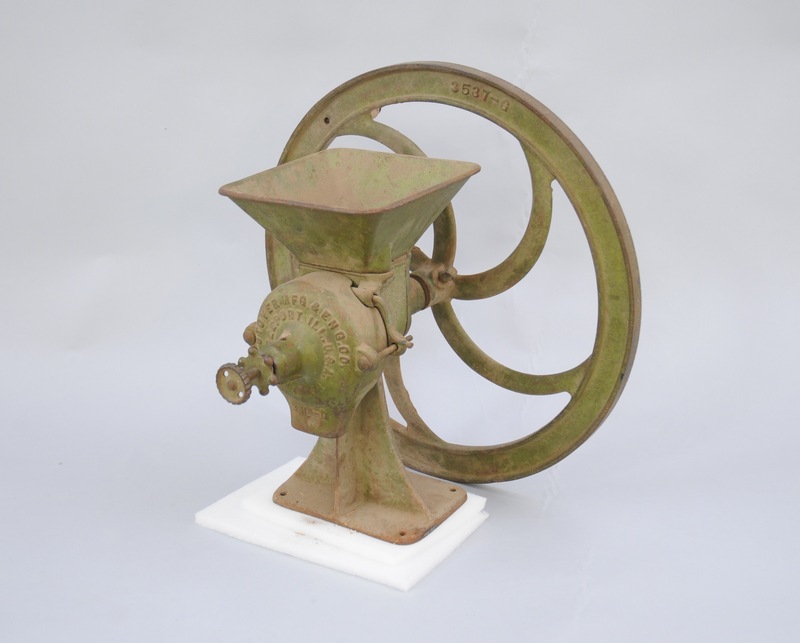 A feed grinder used by John Goodall on his farm at Fort Simpson. Goodall was born in England and came to Canada in 1911, homesteading in the Athabasca district before World War I. He came north to Fort Simpson in 1927 with a small family, farming with livestock and agriculture, and stayed 44 years until his death in 1971 at the age of 80. At Fort Simpson, the soil was rich and plentiful and under Goodall’s watchful eye potatoes and many other vegetables flourished. He supplied fresh produce to the missions and settlements along the Mackenzie River. From 1954 to 1967, Goodall was a member of the NWT Council.